The talented Brazilian has become the key player for the Galacticos in recent matches. 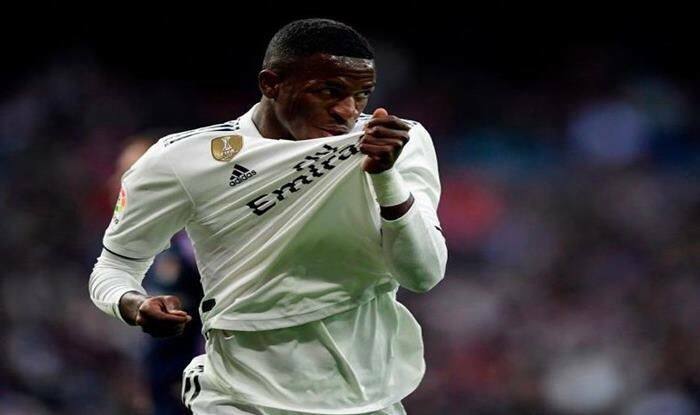 Real Madrid manager Santiago Solari has praised the new number Vinicius Jr, following his impressive his display in recent matches. The talented Brazilian has become the key player for the Galacticos in recent matches. The 18-year-old Vinicius, who started the season with Madrid’s B-team, has been included in the starting XI in the last nine matches in a row, putting in outstanding performances and becoming both a reference for his team’s attack and a headache for rival defenses at the same time, reports Efe news. “His adaptation has been very fast up to now,” Santiago Solari said at a press conference in Madrid on the eve of his team’s La Liga contest against Espanyol at RCDE Stadium. “He is very young, he is 18 years old and he has made an adaptation to a new country, a new language, friends, a new neighborhood and soccer culture, thanks to the team’s support, of mature players,” Solari added. “We have to start with the maximum concentration to maintain our good playing,” he added. Espanyol at RCDE StadiumLatest Football NewsReal MadridSantiago SolariVinicius Jr.